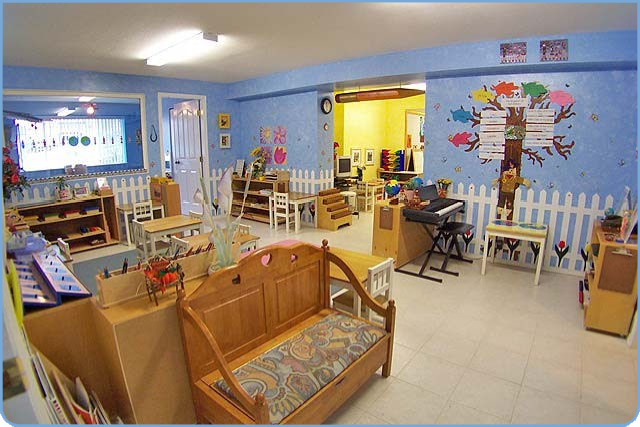 Kensington Montessori Child Care Centre was founded in 2003 by Athina Dritsas. Athina had a life-long passion for learning, and found her calling when she was introduced to the Montessori Education program through her first child and his learning experiences with the Montessori curriculum. Her son Michael was enrolled in a Montessori Pre-School program and she was continuously impressed by how and what he was learning at such a young age. She often commented on the wide range and well-rounded learning he was gaining through this program and her amazement at the conversations she and Michael would have on the drive home after Pre-School pick up. It was Michael’s Montessori experiences that inspired a significant career transition for Athina in 2000. After spending 16 years in various Administrative functions, she enrolled in the Early Childhood Education program and set upon a new career path in Montessori education. Shortly after receiving her ECE certificate, while at the same time caring for her two young children at home, she continued with her schooling and became certified in Montessori Studies in Theory and Practice. Upon completion of her schooling, she started her new career as a Montessori Educator. Within a very short time it became clear to Athina that she had truly found her calling in life and she opened Kensington Montessori Child Care Centre in her home. She treasured the opportunity to mold the minds of young children through the Montessori curriculum and was so grateful for the opportunity to do so. There was never a doubt that Athina loved the work she did, and as such, she was the recipient of numerous awards and accolades for both her school and her teaching. Athina will be missed by all who knew her and those she touched. The Centre continues to operate in her memory and preserving her legacy through offering a high quality of Montessori educational experience in a nurturing and caring all day environment.